Ross likes to refer to himself as a ‘born-again Chef’, having turned to the stoves after a couple of university degrees and stints in teaching, small business and banking. In 1996 he returned to his Prince Edward Island home to study at The Culinary Institute of Canada. He has not looked back and loves the ‘piracy under the hood’ this life affords. Soon after graduation, Ross moved to Niagara where he has worked in many of the area’s top kitchens, holding the Executive Chef role in several including Ravine Winery Restaurant, Windows by Jamie Kennedy, The Stone Road Grill, Zees and The Oban Inn, to name a few. 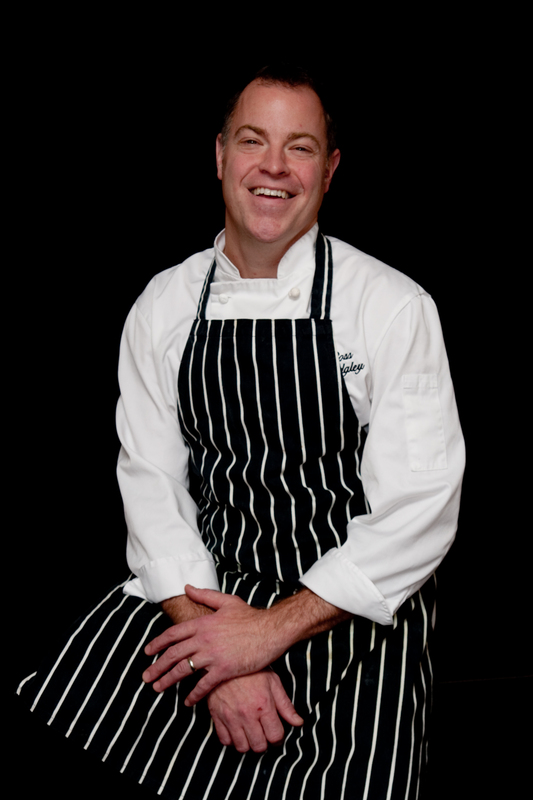 Ross has also been the Chef/owner of his own place – The Kitchen House at Peninsula Ridge. Currently Ross is behind the stoves at Wellington Court, a St. Catharines legacy in dining for more than 25 years. Motivated by all things ‘entertainment’, Ross is always on a quest for how to throw an even better party. When he is not cooking, Ross dreams of one day rock stardom with his band, The Hopyards. He lives on a small farm in Niagara-on-the-Lake with his wife and three boys.